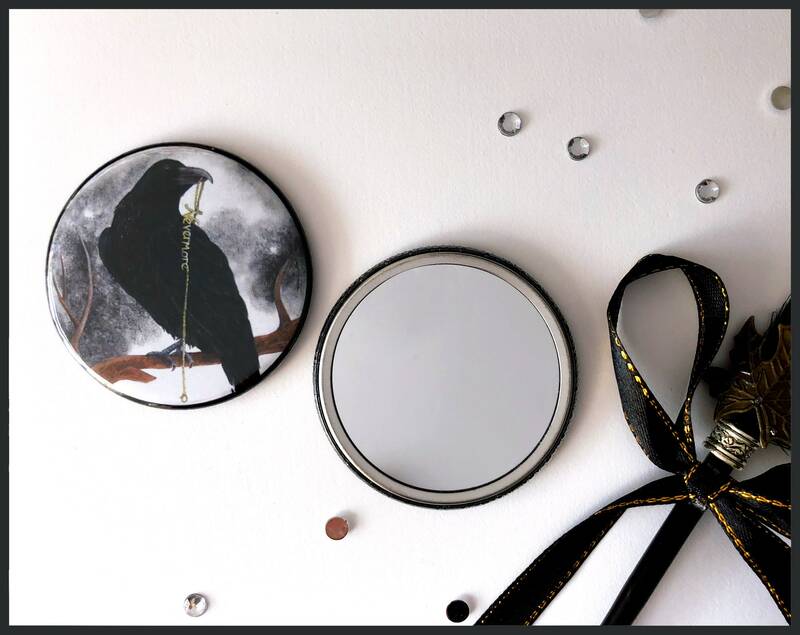 Stay pretty with this beautifully illustrated pocket mirror. An ideal style companion for your jacket pocket or handbag. They are great for a night out, in the car on the school run. They make perfect stocking fillers, wedding favours or small gifts for a party bags or hen do. Each mirror is made with glass and finished with a lamination on the cover. 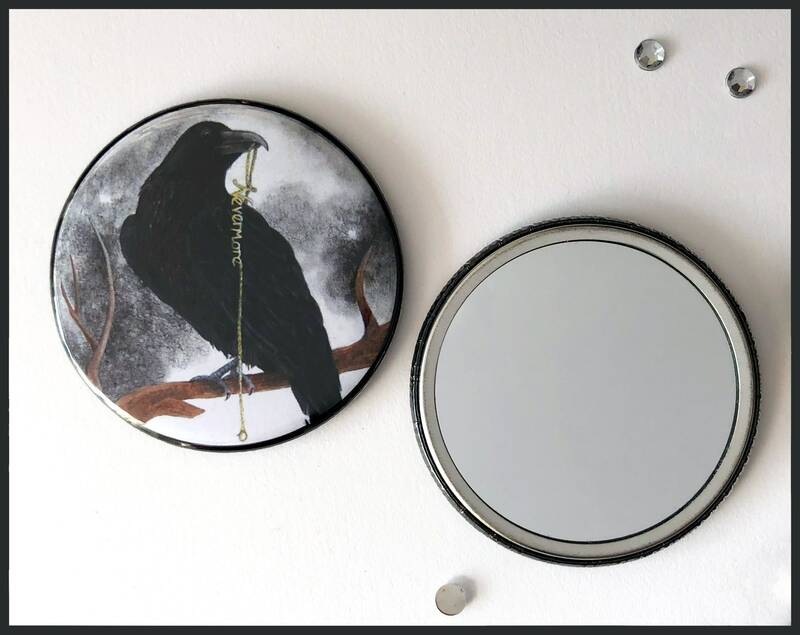 This mirror measuring 5.5cm across is the perfect size to fit into any handbag, no matter now small! Orders within the UK are shipped via Royal Mail. International Deliveries will be dispatched via Royal Mail International Standard, which aims to deliver to Europe in 3 to 5 working days, and to the rest of the world in 5 to 7 working days. 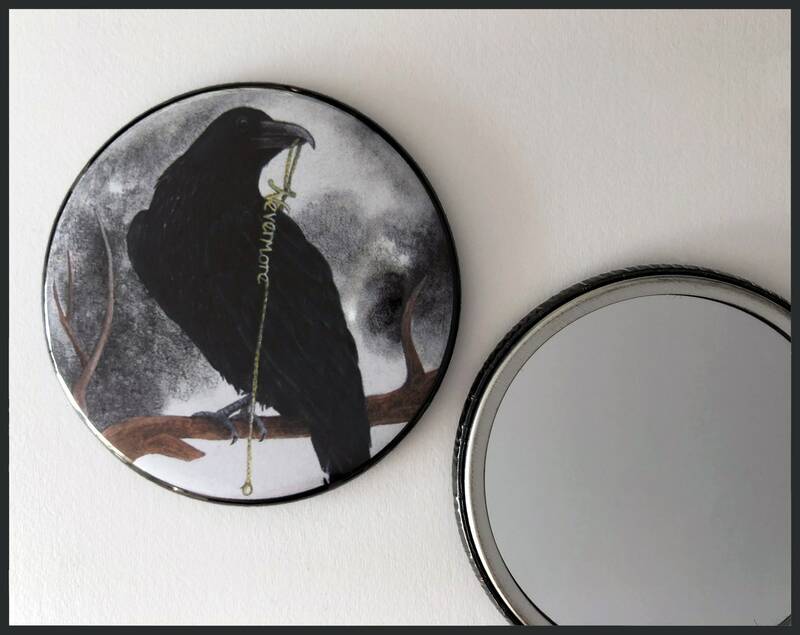 LOVE this mirror, it is awesome!!! !